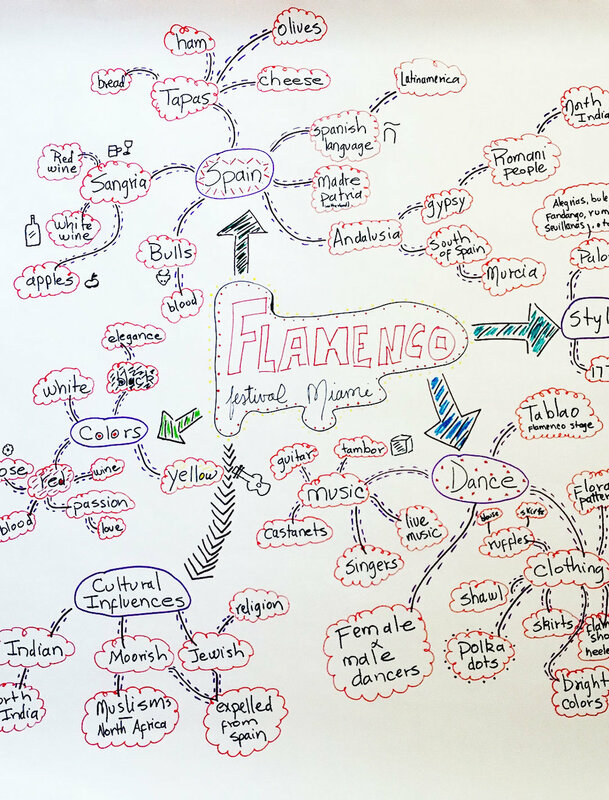 Brainstorming and Sketches | It allowed to visually organize different ideas and words, directly and indirectly, related to Flamenco. From the place where the dance originated to the food from Spain are some of the ideas written in the brainstorming. Drafts | Before getting to the final piece, the curating process consisted of three drafts to achieve that “punch in the face” goal. 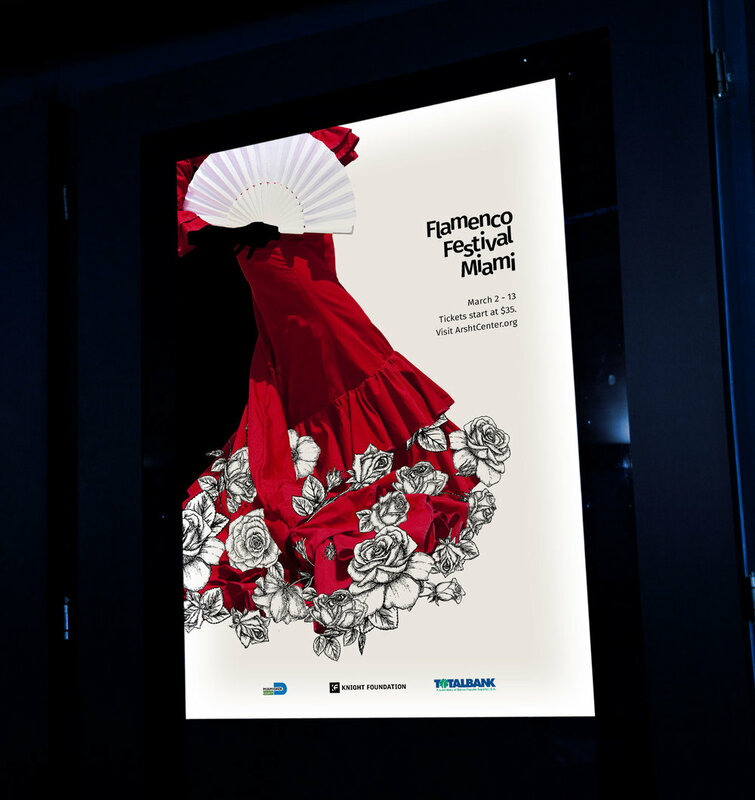 Final | The final piece incorporates a female dancer and roses, this last one an important element in Flamenco.